« What is ‘evidence-based- in ‘Evidence-based dog behaviour therapy practice’? 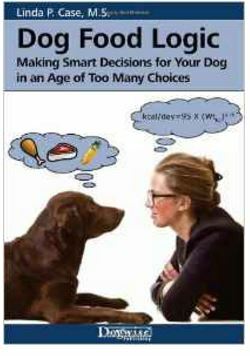 Linda Case wrote an evidence-based and fun book again, this time telling fact from fiction on dog food. I recommend every dog owner reads this so they can take sound decisions about what they feed their dog, rather than listening to Joe-next-door-who-knows-a-lot-about-dogs for that important decision. This entry was posted in Dog writing and tagged canine nutrition, dog food. Bookmark the permalink. Post a comment or leave a trackback: Trackback URL.